HR services Dublin for all your HR Needs. HR Service Dublin. 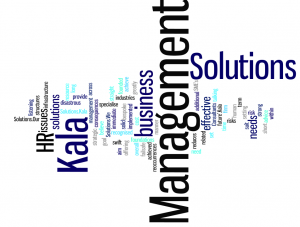 Kala Management Solutions offers ‘straight talking human resource (HR) advice’ for small businesses across all industries. Our goal is to provide HR management solutions to suit long and short term strategic business needs. We believe that if a strong HR infrastructure is implemented, it greatly reduces the risk of HR related issues which can have disastrous consequences for any business. Our team achieve this through effective listening to your business needs and then offering bespoke solutions for immediate issues and at the same time setting up structures to failsafe the business from reoccurrence and additional risks. This is all achieved in a cost effective and swift manner with an overall aim to set solid ‘foundations for your future’.